College basketball is back. On Tuesday the six-month journey to the Final Four in Minneapolis started for teams across the country as the college season tipped-off. In Omaha, Creighton is starting its 2018-19 campaign against Western Illinois. The Jays are looking to win its season-opener for the ninth year in a row. 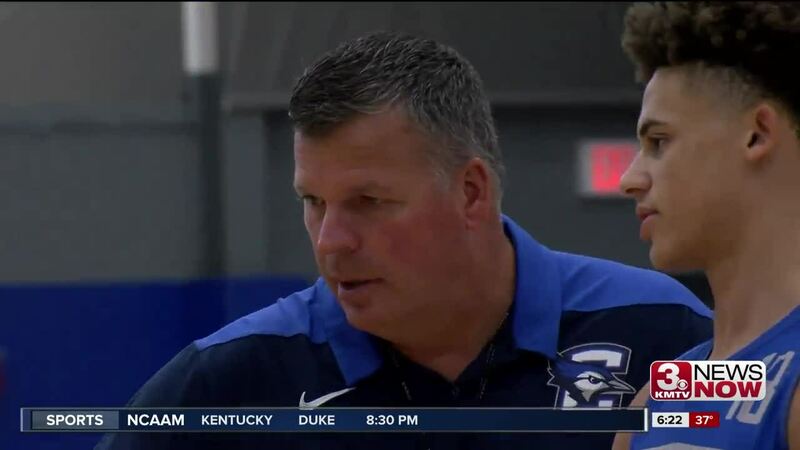 "We're getting there, obviously it's a young group and with that comes some mistakes and times where we need to tap the breaks and move a little slower than we have in the past," said Head Coach Greg McDermott. "We're a younger team and it will take time to adjust and understand everything Mac wants and find a leader for the team," said sophomore center Jacob Epperson. The Jays and Leathernecks tip-off at 7:30 at CHI Health Center Omaha. In Lincoln, Nebraska starts its season tonight at Pinnacle Bank Arena against Mississippi Valley State. "We're excited for the week, we're tired of talking about it, let's go compete and let's go play," said Head Coach Tim Miles. "They need the experience and there is nothing like being out there in a game at game-speed." Nebraska basketball's James Palmer added another preseason honor Tuesday morning. The senior is one of 50 players named to the Wooden Award Preseason Watch List.